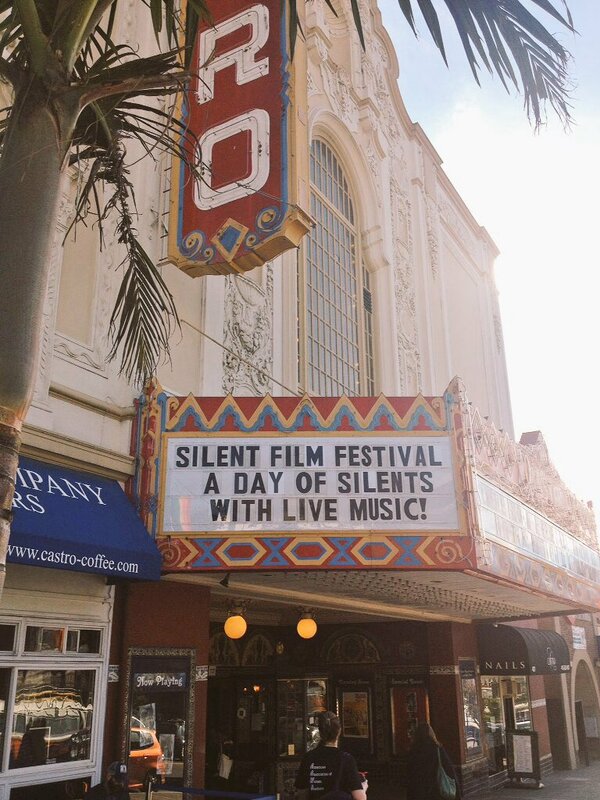 I always like to do a quick writeup when I attend a festival or event where Century Films are shown, and yesterday I flew to San Francisco for the San Francisco Silent Film Festival’s “A Day of Silents” at the Castro Theater. There were six blocks of movies on the schedule, all with live musical accompaniment, and all worth seeing in themselves. There was also a book signing and a vendors’ room, conveniently located on the mezzanine level of the Castro. Overall, the event was well-managed and professional, although maybe a bit more “serious” in tone than some of the other festivals I’ve attended. The only true Century Films to screen yesterday were the opening block of Chaplin shorts from Essanay Studios. They showed “His New Job,” “The Champion,” and “A Night in the Show,” all of which I’ve reviewed before (follow the links). In fact, they used the recent digital restorations from Blackhawk films prepared by Flicker Alley, which is exactly the prints I watched on DVD for the reviews, so there was nothing new to me. However, as I’ve long known, silent comedy always benefits from the presence of a live audience, and this was no exception. The experience was boosted by the attendance of my ten-year-old nephew Kai, who laughed and bounced in his seat throughout. 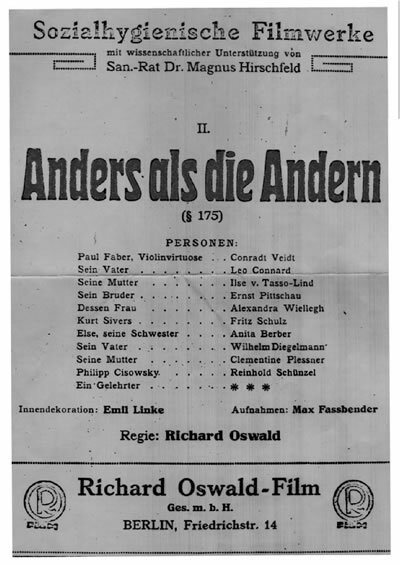 Other close-to-100-year old movies included “Anders als die Andern” (“Different from the Others”) and a collection of Pathé newsclips, some of which dated as far back as 1910. “Different” was a social-reform movie made in Germany to oppose Paragraph 175 of the legal code, which made “active” homosexuality a crime. I’ll be reviewing it in 2019. The Pathé collection (1910-1925) included images from the First World War, the Mexican Revolution, and the soon-to-begin Russian Revolution, as well as uprisings in Ireland and South Africa. Anyone who thinks of the Silent Era as some kind of “simpler time” should look at these clips and think again (they didn’t even include footage of the massive KKK March on Washington in 1925). The movies from the twenties were “So This is Paris” (1926), “Strike” (1925), “The Last Command” (1928) and “Sadie Thompson” (1928). Of these, special mention should go to the Alloy Orchestra for providing an appropriately bombastic score for Sergei Eisenstein’s first feature film. 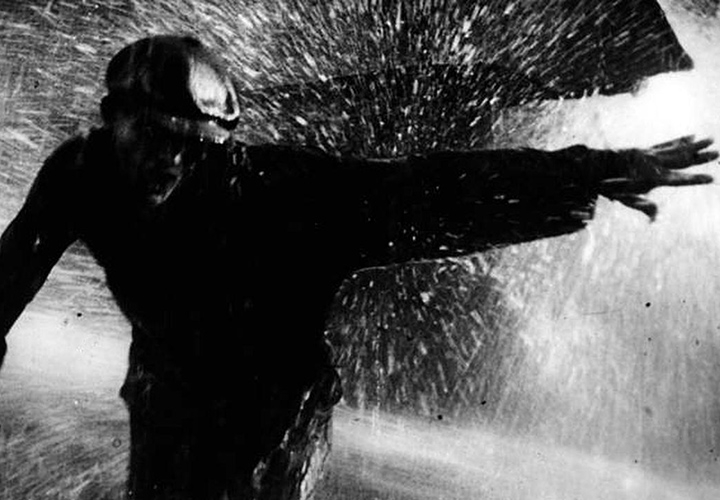 I generally find Eisenstein to be heavy-handed and awkward, despite his great reputation, but with the right music, the images can become an exciting ride. This was a case, for me, of the music being better than the movie. I should also mention Donald Sosin, who gave us piano scores for most of the other movies that fit the pictures nicely. Generally, the SFSFF manages to happen at a time when I’m too busy with grading to travel, but this one-day jaunt to San Francisco was a pleasant diversion at the end of an academic term. I hope there will be more like this in the future. Folks who were paying attention probably noticed that last weekend, I was in Los Angeles, attending the 51st Cinecon Film Festival. They were kind enough to show three Century Films, which I reviewed on the spot, but I also wanted to talk about the festival more generally. It was held at the historic Grauman’s Egyptian Theater in Hollywood, and there were a block of rooms reserved at cut rate in the Loews Hollywood Hotel, which also housed the dealer rooms. For my first visit to Hollywood this was a good location and a good time. I was able to see a number of touristy-historical locations by walking, and visited others by using the subway. The festival included a walking tour (hosted by John Bengtson of Silent Locations), a slide show stills of deleted scenes from Harold Lloyd movies, and author signings by film historians and writers. The movies were roughly split between silent and sound (I enjoyed the silents more, for the most part). 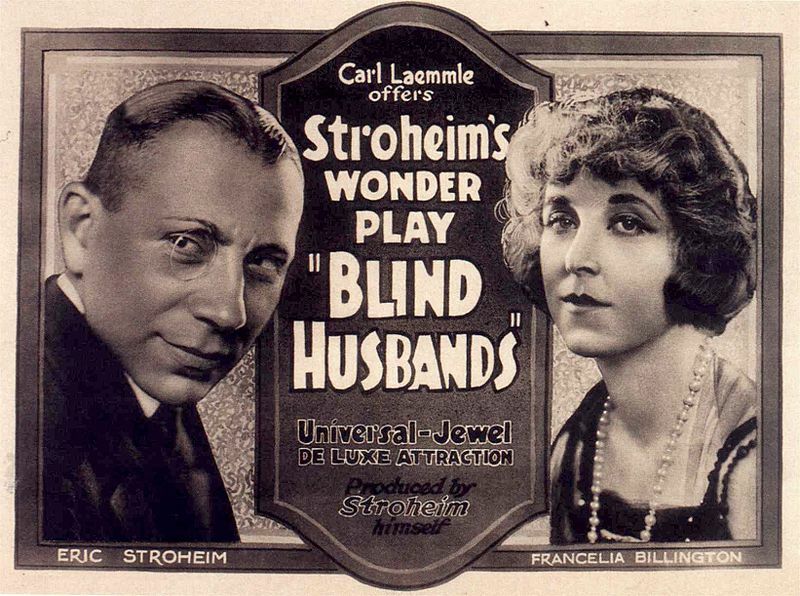 Standouts included von Stroheim’s “Blind Husbands” (1919), Mary Pickford in “M’Liss,” (1918), Douglas Fairbanks in “Wild and Woolly” (1917), and the Harold Lloyd feature “The Kid Brother” (1927). 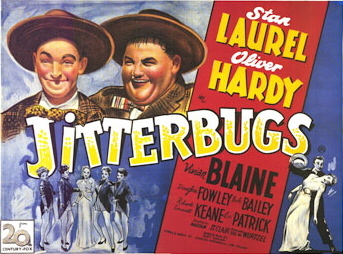 Interesting sound pictures included “The Studio Murder Mystery” (1929) and Laurel and Hardy in “Jitterbugs” (1943). There was also a documentary about the Champion Studio of Fort Lee, New Jersey that would bring tears to any classic film fan’s eyes. Everyone on the Internet these days is crazy about lists, right? Well, I’m going to list the best things about the Cinecon Film Festival. This gives you almost a whole year to make up your mind about attending Cinecon 52! Movies you can’t see otherwise: I think one reason a lot of the classic film community winds up missing it is that they look at the roster of films, and they’ve only heard of one or two titles, but that’s exactly the point. Rather than showing movies you’ve already seen a hundred times, Cinecon seeks out the most difficult titles, the ones you didn’t know you needed to see. They announce them later than some of us would like to make our travel plans, too, but take the chance and register before you know for sure – you’re bound to be pleased. The opportunity to learn: Instead of having your already massive trivia knowledge confirmed, why not take a chance to find something new out? 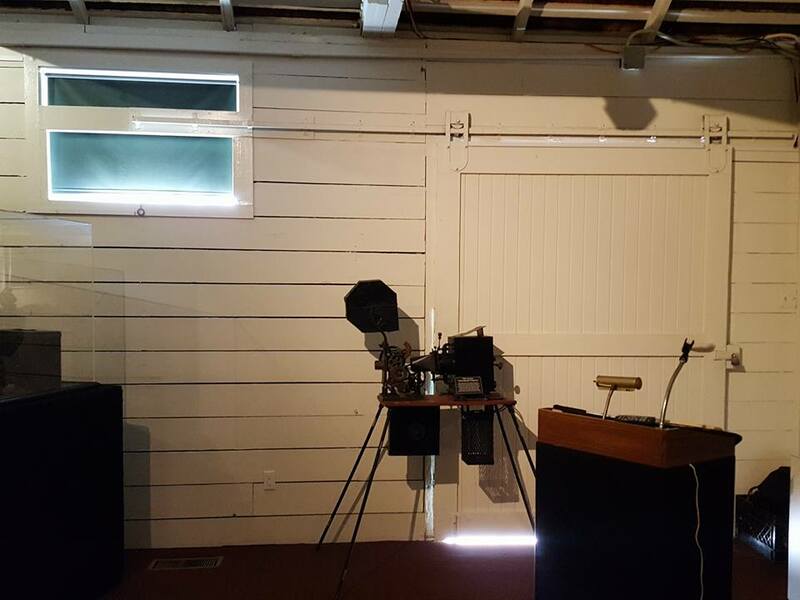 In addition to movies you wouldn’t have watched otherwise, there are special educational programs, such as John Bengtson’s tour of silent Hollywood and the fascinating set of stills from deleted scenes in Harold Lloyd movies that preceded “The Kid Brother.” The chance to hear erudite film scholars and preservationists introduce several of the films was also thrilling. 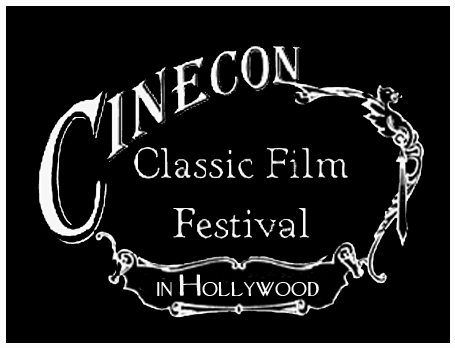 These are the good guys: Cinecon is a nonprofit made up of classic film enthusiasts, preservationists, scholars, and others, not a bloated media mega-corporation engaging in dubious copyright tactics to ensure a stranglehold on classic filmdom. Support the good guys. Networking: Everyone at this festival is interested in knowing what it is you do. A lot of them are doing cool stuff, also. Talk to your neighbors, find out what brought them to Cinecon. Chances are you’ll learn something, and you might even gain a fan in the process. C’mon, silent/early sound movies in Hollywood! What better way to connect with the history you write and read about, and watch unfold on the screen, than to be right there where it happened, and to re-live it the way audiences of the time experienced it. It’s almost like having a time machine on hand.